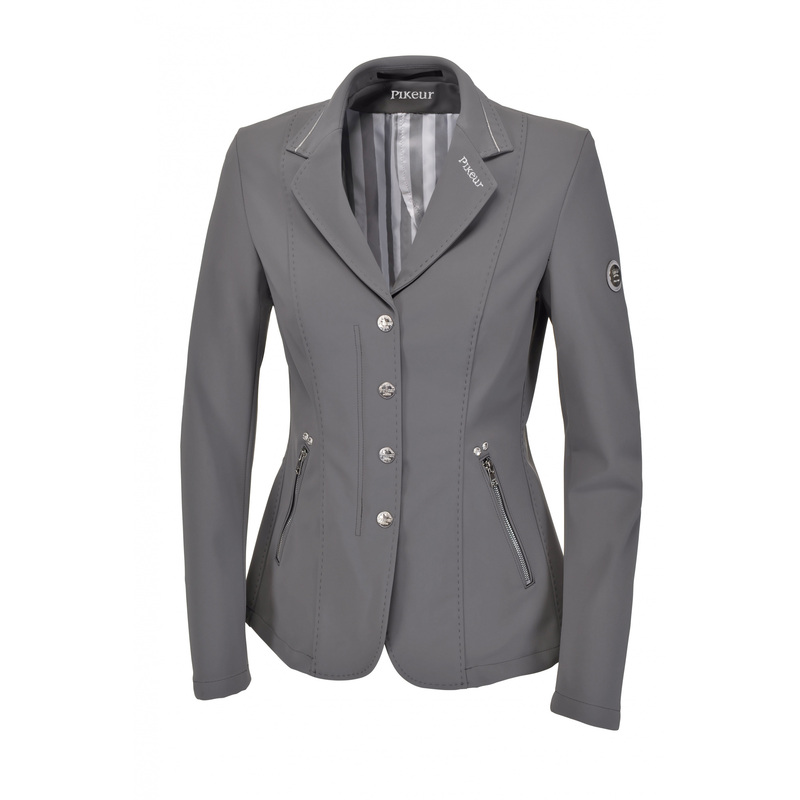 Modern and elegant ladies' show jacket made of softshell. It is very comfortable and elastic. 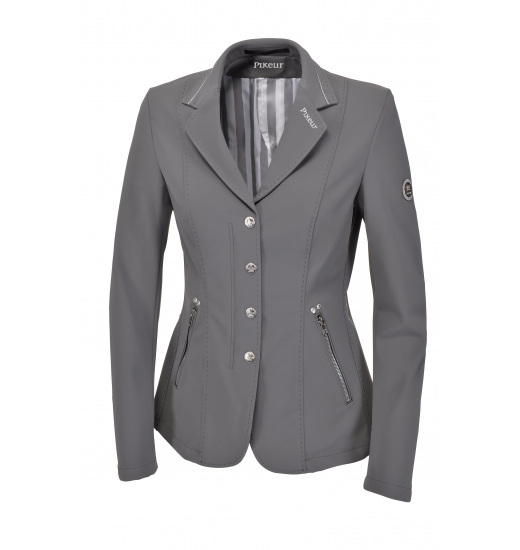 Its sporty cut nicely fits to the body, there are two slits at the back. It is breathable and fastened with a zip covered with a flap with silver buttons, which prevents the material from dividing. Its collar has a discreet trimming made of shiny material. There are two pockets fastened with silver zips on the front. 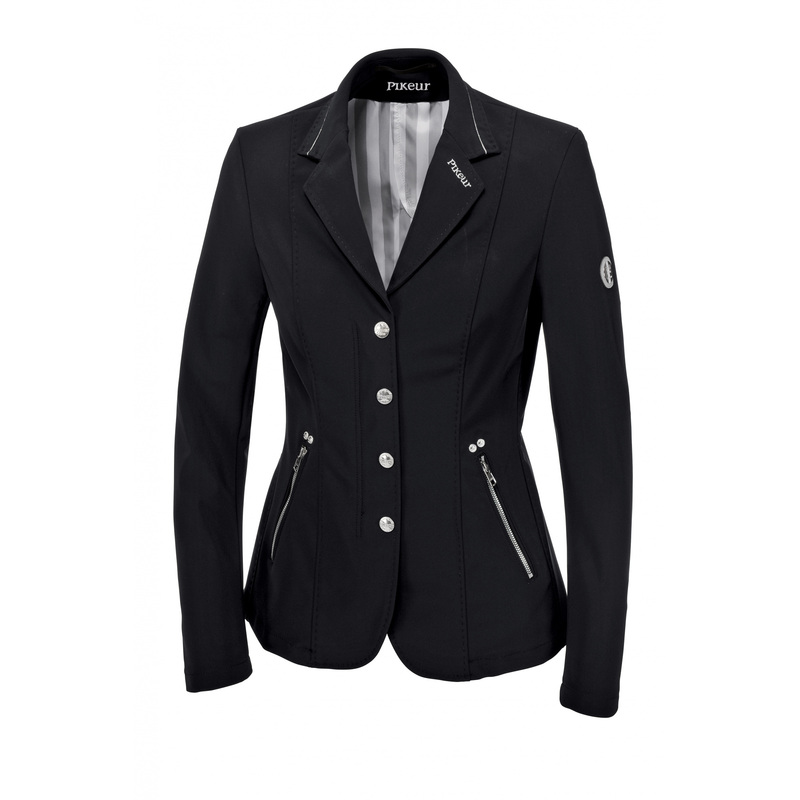 The jacket is decorated with a little Pikeur writing on the collar and emblem with logo on a shoulder. It can be washed in a washing machine in 40 degrees Celsius.